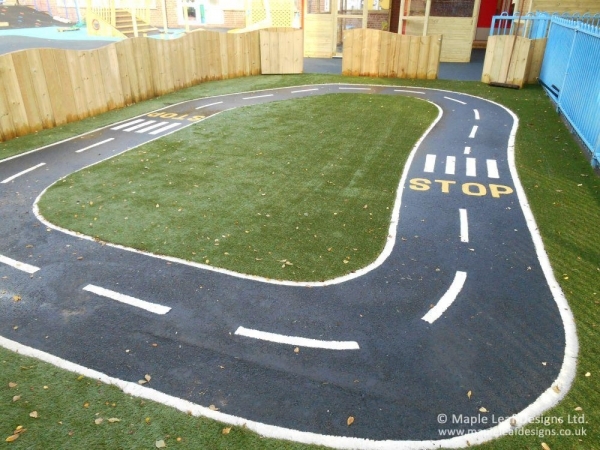 Road Safety is more important than it has ever been and teaching children from a young age with a thermo plastic road way marking is a great way to learn the rules of the road. Roadway markings are also a fun way for children to use bikes, trikes and scooters. We can design a road way in and colour, size and configuration that you would like and incorporate zebra crossings, roundabouts and give way areas. Please contact us for further information.